CLASSES — MUNICIPAL BALLET CO. Starting in January 2019, we are offering ballet classes at Millennium Dance Complex in Trolley Square at 602 East 600 South in Salt Lake City, Utah. Ballet Co-operative classes, taught by many different teachers, are open to all adult intermediate/advanced level dancers. 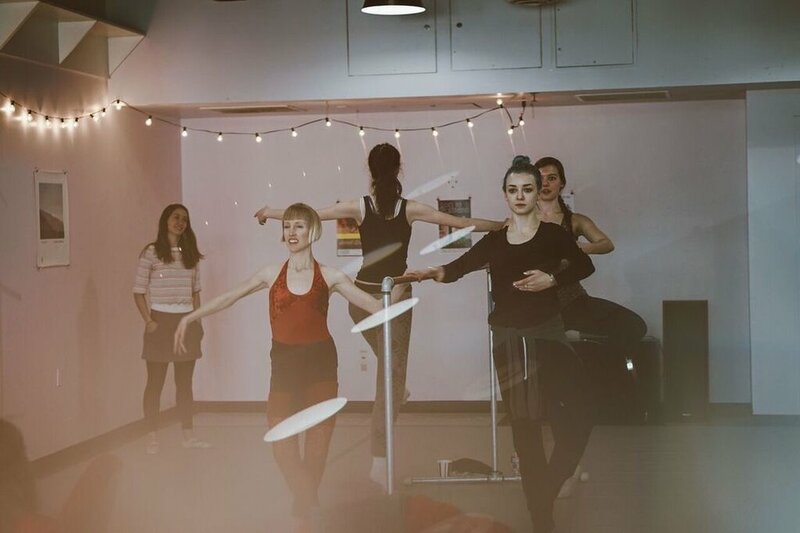 Restorative Ballet classes, taught by director Sarah Longoria, are a wonderful way for dancers to get back into ballet slowly. We focus on enjoyment of movement, and taking care of ourselves while doing ballet. These classes are on hold, but may resume again soon. $10 to drop-in, $40 for a 5-class card, and $60 for a 10-class card. Keep an eye on our website and social media for our schedule, as our classes will continue to evolve. If you would like to become a teaching member of the Municipal Ballet Co-operative, email Sarah at municipalballetco@gmail.com to request an application.